The result is the Foldscope, a ‘use and throwaway&rsquo; microscope that Prakash demonstrated last week at the first-ever Maker Faire at the White House. While I saw many amazing inventions and met many incredible inventors at this event, I came away particularly impressed by the practicality of this device and the ingenuity of its maker. 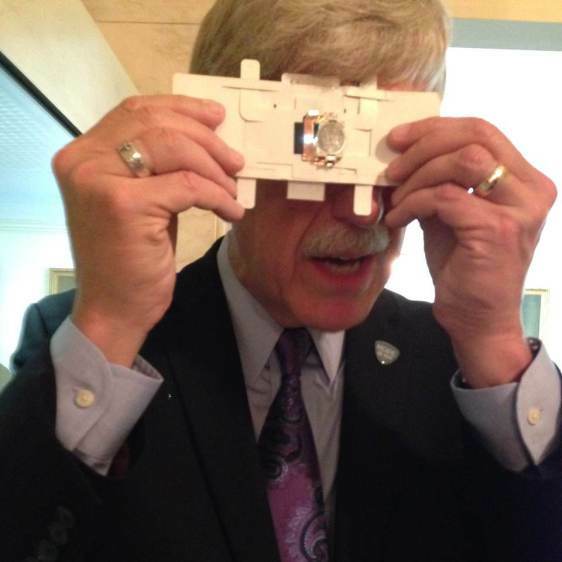 Here&rsquo;s what you need to know about the Foldscope. It&rsquo;s made out of thick, waterproof paper and a glass-and-polymer lens that&rsquo;s the size of a large grain of sand. While it can be used by simply holding the device up to the sun or a light bulb, there&rsquo;s also a version illuminated by tiny LEDs powered by an inexpensive watch battery. The framework of the Foldscope is printed onto a sheet of paper that&rsquo;s perforated in a way that each shape can be easily snapped out and folded in a manner resembling the traditional Japanese art of origami. A diagram showing how to assemble the Foldscope is even included on the sheet, and can be understood by anyone, regardless of their native language.